Lindsay Humes is a Wordpress web developer and also runs a Wordpress template shop, White Oak Creative. In this interview, Lindsay shares how to get started as a web developer, how to make passive income with a digital design shop, and how to make good passive income without doing a big launch. Lindsay Humes is an art director and front-end developer, who crafts beautiful and dynamic brands for professional bloggers. 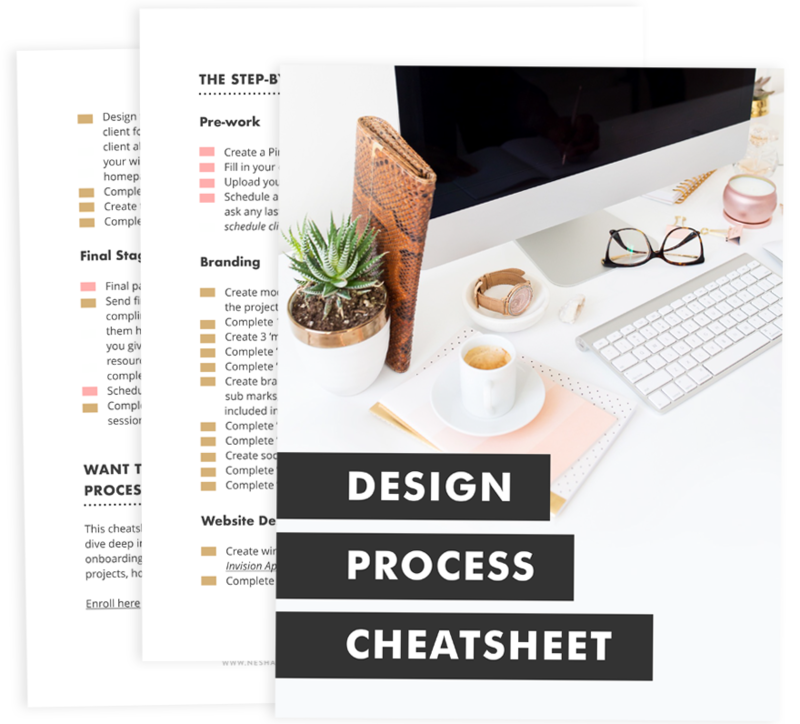 Through her design shop, she sells affordable pre-made design solutions, including WordPress themes, blog post templates, logos and media kits. Lindsay fuses personal elements of her life as a female business owner with essays, videos, and tutorials in her blog. This month’s masterclass is called 'Use Your Contract To Book High Quality Clients' and it's taught by my special guest, Annette Stepanian. Annette is a lawyer for creative entrepreneurs. She combines her passions for law and small business to teach other creative professionals & entrepreneurs how to lay a proper legal foundation for their business. In this masterclass, she's teaching you how exactly what to include in your design contract, why you shouldn’t be scared of using a contract, and how contracts can help you close the deal on high-quality clients and weed out the nightmare ones. Now, onto the masterclass summary! You’re scared of using a contract because you think it will scare clients from booking your services. You’re a designer and you don’t have contracts in place. Or you have contracts, but you’re not sure if they say what they should to protect your business. Each time you sign a contract with a client, you want to feel confident that you’re protected and you’re perceived as a professional. Contracts make potential clients take you seriously. It makes you seem like a professional. When a client sees you have a contract and a plan in place if misunderstandings occur, it makes your client feel more secure and protected. Contracts clarify each parties expectations. Your clients should be clear on what is included in your packages, so having a document that outlines this information will help keep you and your clients on the same page. Contracts also outline what you need from your client before you can start their project, such as website content, copy and a completed questionnaire. You can use your contract to explain the things you need. Contracts keep a record of your rights and obligations and protects your booty. If you don’t write things down you’ll forget what you agreed to! Therefore, in the event that there’s a misunderstanding during your project, you and your client can refer to the contract to resolve the issue. Contracts protect you in court. Judges are very reluctant to rule on a he-said/she-said argument. Judges love to see written proof of what you and your client have agreed to. If your client falls off the face of the earth, you'll have no ground to stand on without a contract and it’s very hard to take legal action without a contract. Create a proposal/estimate that is attached to your contract. Outline your services in your contract itself. Be really specific in your contract. Create a full checklist of the things you’re going to deliver. Perhaps identify what ISN’T included. This could be font licenses, photography, website copy etc. In your contract, list the types of services that fall outside the scope of services outlined in the contract. What fee will I charge for these additional services? Should I submit a new proposal for them? Should we enter into a new contract? Decide on whether you charge hourly fees or flat fees. Charge a non-refundable deposit upon signing the contract. Stagger the remaining payments with project milestones or periodic payments. Services will be suspended until payment is received and final files will not be delivered. Outline this payment structure in your contract and be really clear about what will happen if payment is not received. You should specify that these expenses are the responsibility of the client inside your contract. However, you should remember not to incur these kind of expenses without the client’s permission first. What do I do if a client keeps asking for revisions? In your contract, specify how many revision rounds are included in your project fee. Specify what counts as a revision. Specify if there is a fee for additional revisions, the rate, and whether you will create a new proposal. When booking a new client, add an expiration date to your contract and proposal. This will provide a sense of urgency and push them to decide quickly whether they want to hire you or not. Be sure to tell them how important it is that your client provides feedback/payment etc in a timely manner. Your contract could include a clause that states the client has X number of days to approve designs or the designs are automatically approved and you move forward anyway. When a client fails to respond, services as suspended. A copyright does not protect ideas or facts, but the unique way in which ideas or facts are expressed. Any time you create anything, it’s protected by copyright laws. Employer for a Work Made For Hire: work prepared by an employee within the scope of employment. For example, a designer in the graphic design department of Cosmopolitan magazine. Cosmopolitan owns the copyrights of your work, not you. If your give the copyright to the client, your contract needs to state that you’re allowed to included that work in your portfolio. Homework 01: Check if your contract includes what it should. Homework 02: Add expiration dates to your contracts and proposals. Homework 03: Check if your contract outlines who owns the copyrights to your work. Has this month's masterclass helped you understand copyright? Great! Now check your contract and see if it outlines who owns the copyrights to your work. If not, decide if you want to retain copyright or give it to your client. Then include that information in your contract. Want a legit contract template? I get it. Writing a contract is daunting and scary - I 100% agree. That's why I recommend buying Annette's contract for designers. It includes everything a designer needs, and even comes with a guide to help you understand all the legal terms! In this month’s masterclass I talked with special guest, Annette Stepanian*, an Attorney At Law. Watch or listen to learn how contracts help you close the deal with high-quality clients, and exactly what to include in your design contract. "My name is Annette. I'm a lawyer for entrepreneurs. I’ve learned a lot about what it takes to run a small business after successfully running my own creative business. Today, I combine my passions for law and small business to teach other creative professionals & entrepreneurs how to lay a proper legal foundation for their business." *All links marked with an asterisk are affiliate links. But don't worry - I'm only an affiliate for products I truly trust and love.